Please send an "RFQ" email for the most current pricing on any of our products. Avionics and Instrument testing in the aviation community is a competitive and ever evolving industry. The investment in test equipment today is an investment in your shops future. 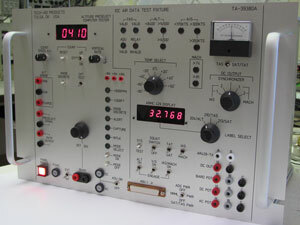 In the next few minutes please browse our website and become familiar with our line Avionics Test Equipment. We try to keep our Test Fixtures as universal and simple to use as possible while maintaining the required functionality. 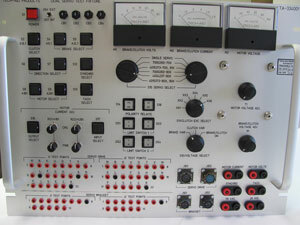 An API Instrument Display is incorporated into many of our panels. The API Display is a valuable tool when doing any kind of Instrument Repair. Our models are available in both bench top and panel mount versions and have proven extremely reliable for over a decade. The Angle Position Indicator is the ideal tool for our Synchro/Resolver alignment needs. Instrument repair as you will see makes up a large part of our equipment line. Our model TA-568 generator will complement your testing by providing Arinc 568 distance as well as Arinc 561 data. Please contact us with any needs that your shop may have now or in the future. We know your time is valuable and appreciate you visiting our website.